Even with three Category 5 hurricanes within a month in the Caribbean, Florida, and Texas, the Desert to the Sea Region of the American Red Cross remains poised to prevent and alleviate human suffering in the face of emergencies wherever they occur. With nearly 100 Red Crossers deploying to bring relief before, during, and after Hurricanes Harvey, Irma, and Maria, the strength of the organization came into light when the Canyon Fire erupted along the Orange County/Riverside County line just after 1 p.m. on Monday, Sep. 25. Volunteers setting up the dormitory section of the shelter for the Canyon Fire. Fueled by warm Santa Ana winds, the fire grew and threatened homes and officials called for a mandatory evacuation order to residents of the Orchard Glen community and homes near Green River Road from the 91 Freeway to Trudy Way. 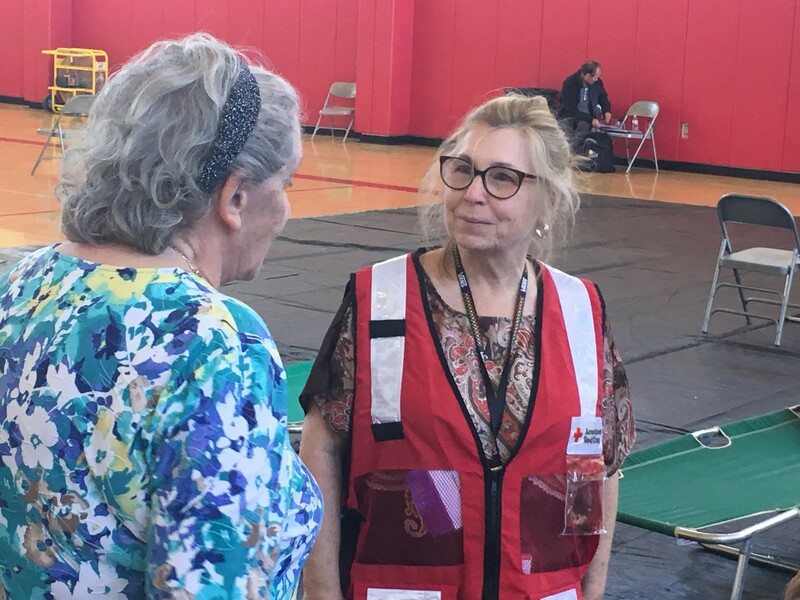 Red Crossers from Riverside County Chapter along with community members quickly sprang into action setting up a shelter in the gym at Corona High School for the nearly 40 residents who sought refuge from the flames. For Red Crosser Mary V., the Corona High Shelter was her first opportunity to put her training into action. The Riverside resident recently retired from a career in secondary education and choose to volunteer with the Red Cross because she wanted to be a part of something special. If you would like more information on how to become a Red Cross volunteer, please visit redcross.org/volunteer.